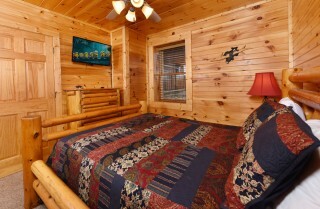 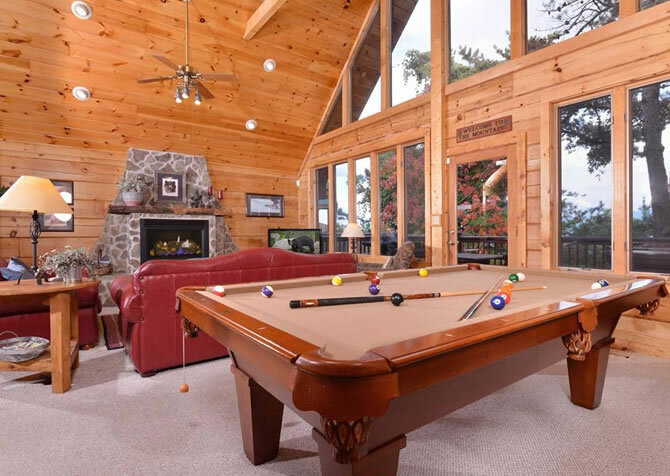 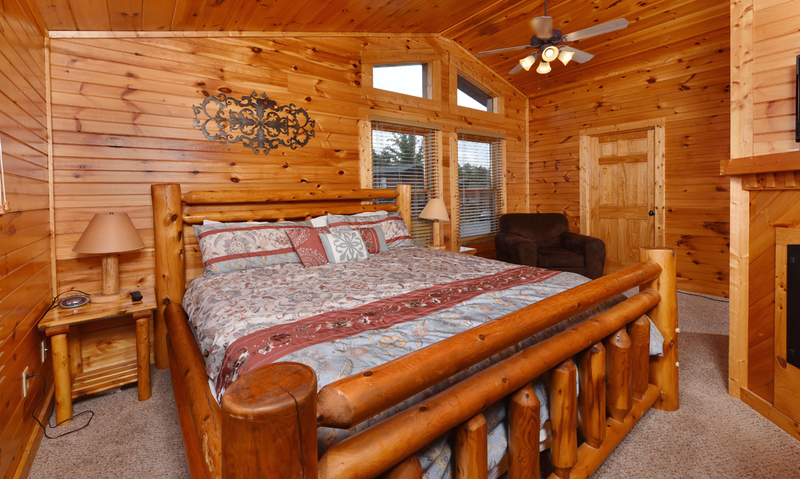 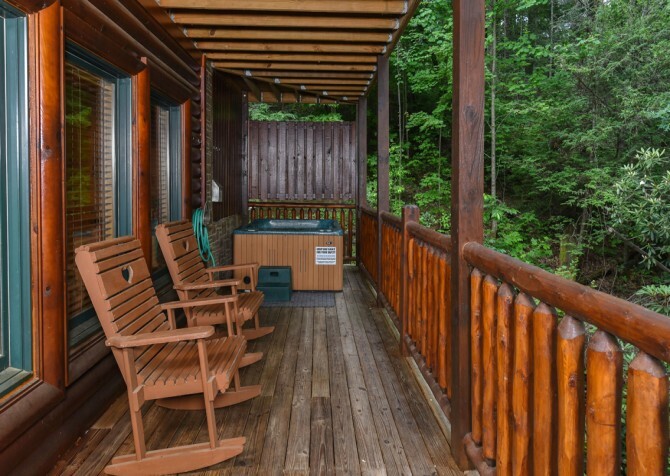 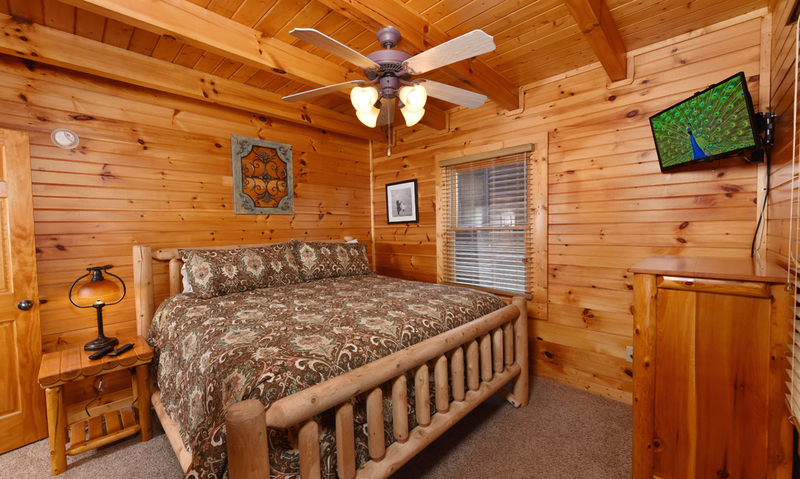 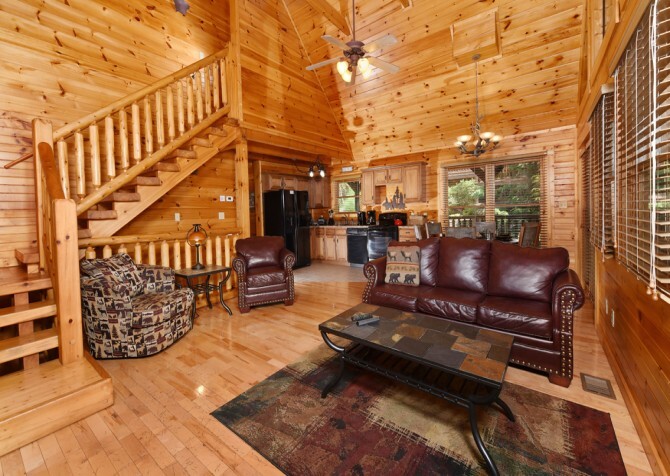 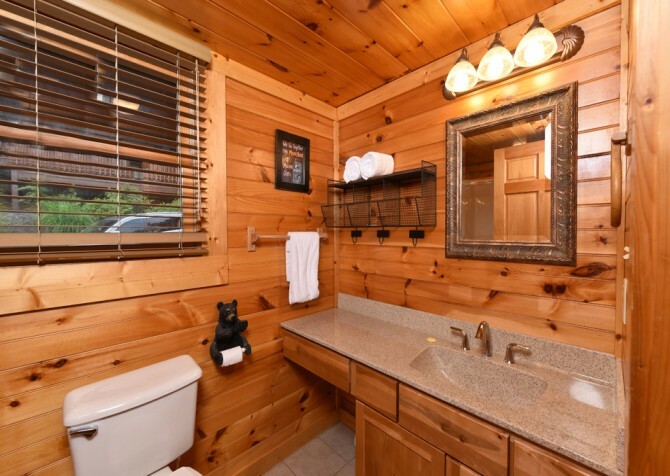 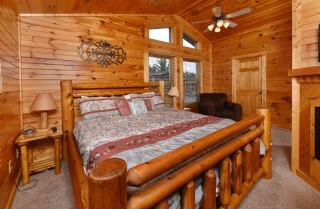 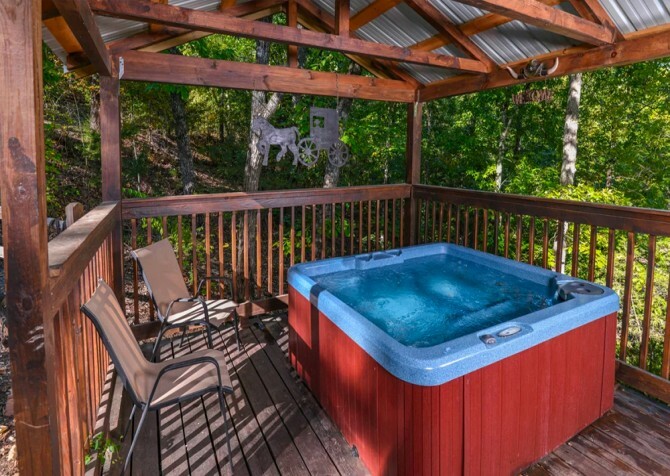 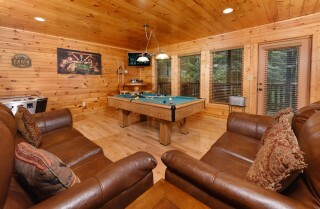 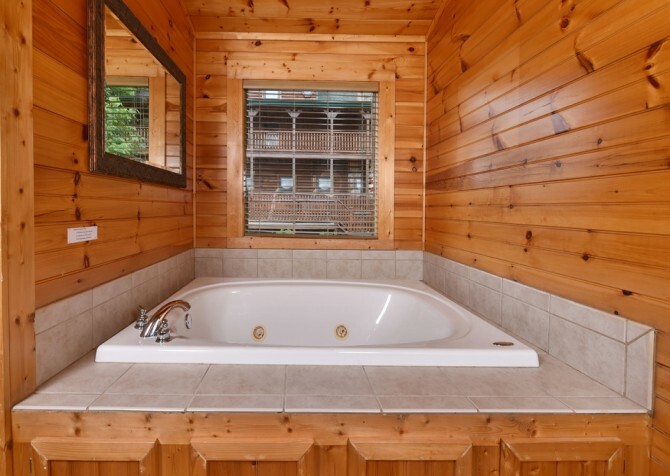 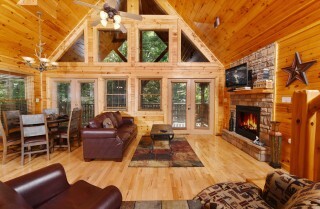 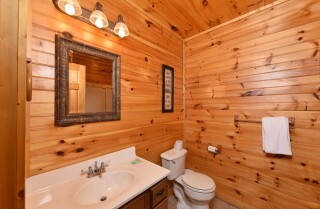 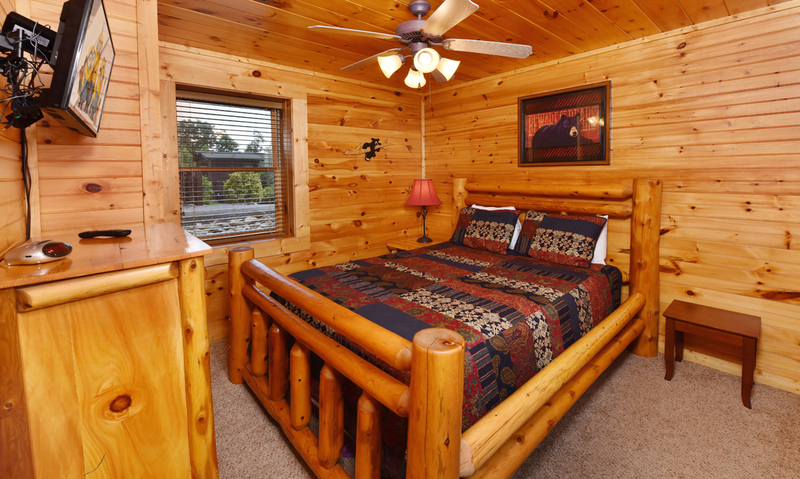 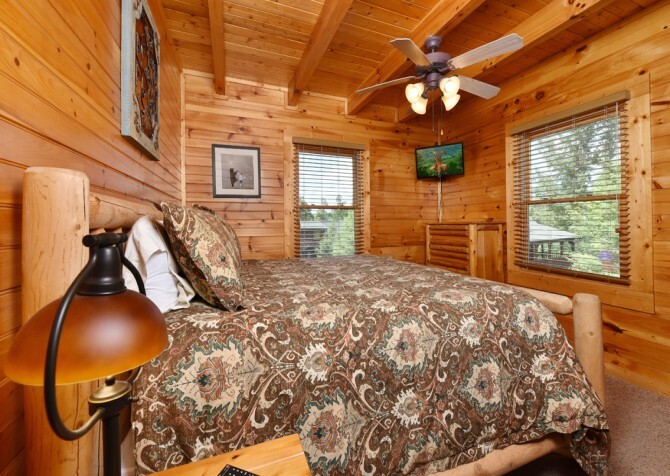 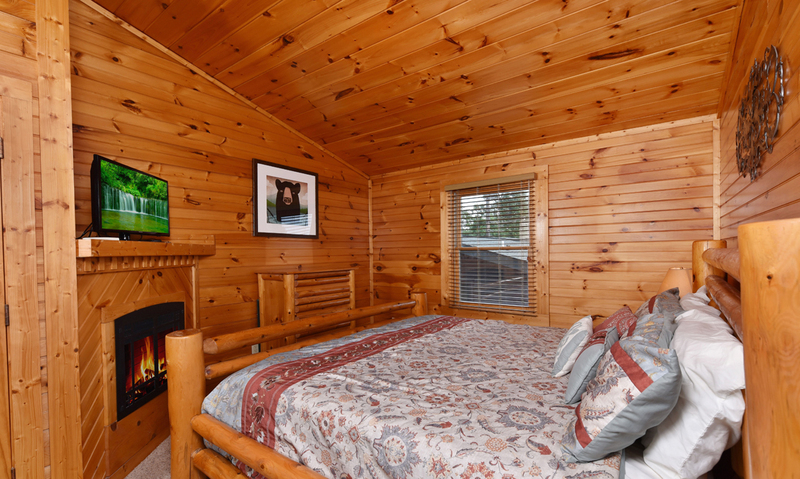 Get away to Gatlinburg with a leisurely stay at Queen’s Log Cabin, a charming log retreat for 8 with modern conveniences, rustic touches, entertaining amenities, peaceful wooded views, and space for a family vacation or a weekend with friends. 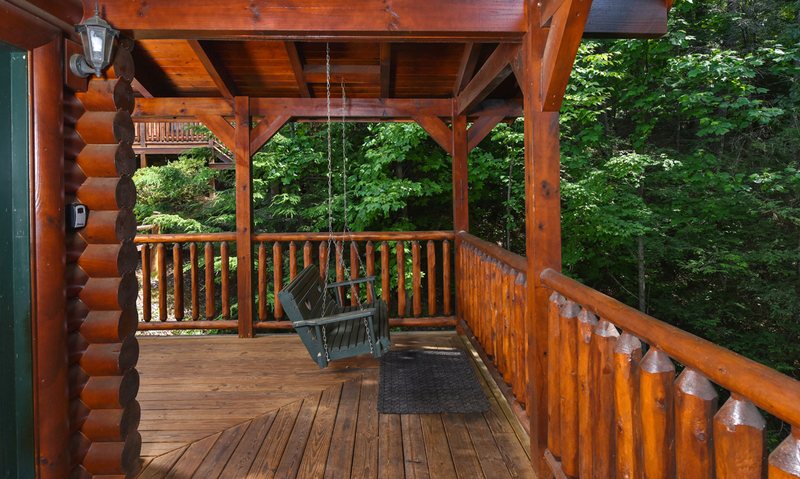 Start with the welcoming front porch and lovely landscaping and step inside this 3-bedroom, 3-bathroom home for relaxing and fun days in the Great Smoky Mountains. Step into the spacious living room for a rest after your travels on the leather sofa (which doubles as a queen sleeper), pull out your favorite book in the reading nook with 2 arm chairs, or flip on the flatscreen TV and pop in a film from the movie library. 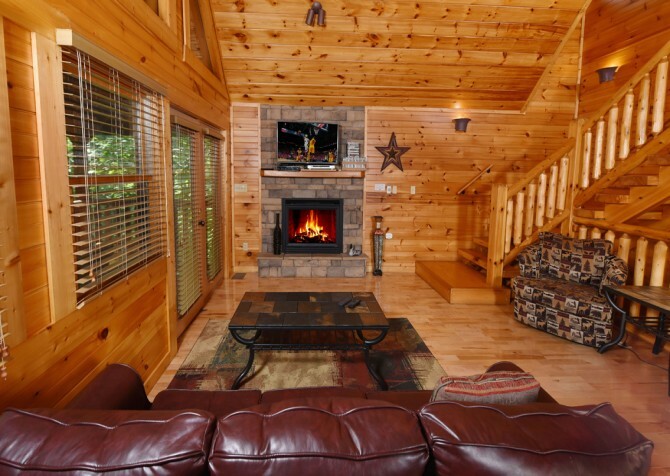 When evening sets, get a toasty fire going in the stacked-stone gas fireplace, heap loads of snacks on the coffee table, and enjoy a family chat or juicy gossip with the girls. And don’t forget to take in the woodsy views through the floor-to-ceiling windows throughout the day — connecting with nature is only a glance away at Queen’s Log Cabin! 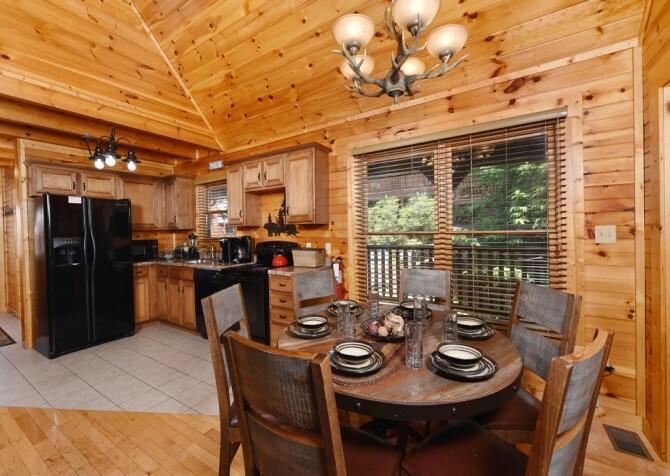 Boasting an open floorplan, the fully equipped kitchen is always ready for action only a few steps away, and the best part is you don’t have to miss your favorite part of the movie or pause intriguing conversations until you return. With sleek black appliances and wooden cabinetry with a natural finish, this kitchen is more than prepared for all your favorite recipes — in style. 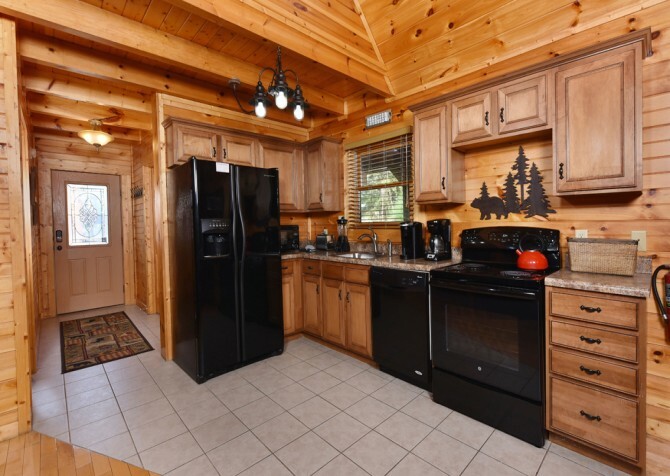 Grab fresh ingredients from the fridge, fix a hot breakfast on the stove, brown bagels in the toaster, brew a Colombian blend in the coffeemaker or Keurig, blend fruit smoothies for lunch, pop everyone’s movie-night favorite in the microwave, and bake sugar cookies in the oven. And when dinner is done, turn on the dishwasher so you don’t have to do the dirty work. Meal options are endless at Queen’s Log Cabin — be they homemade or delivery! 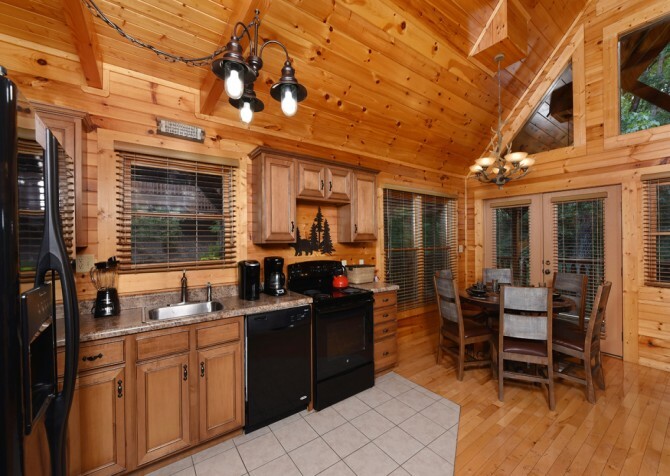 Just off the open kitchen awaits the dining area with a round table for 6 and an antler chandelier overhead. Set the table with savory sides in the center and enjoy family meals with tranquil wooded views all around. When mealtimes are over, clear the table for arts and crafts with the kids, board games (some are provided) with the group, or secret midnight snacks. 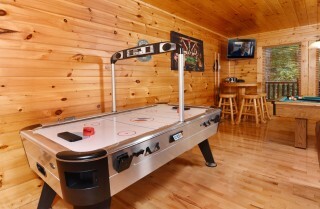 After the food settles, head to the rec room downstairs for arcade battles, air hockey matches, and pool tournaments. 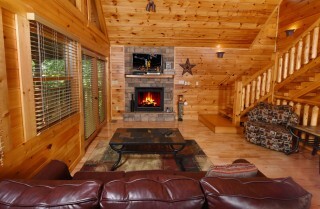 There’s even a seating area with a plump couch and cozy loveseat within perfect view of the mounted flatscreen TV. 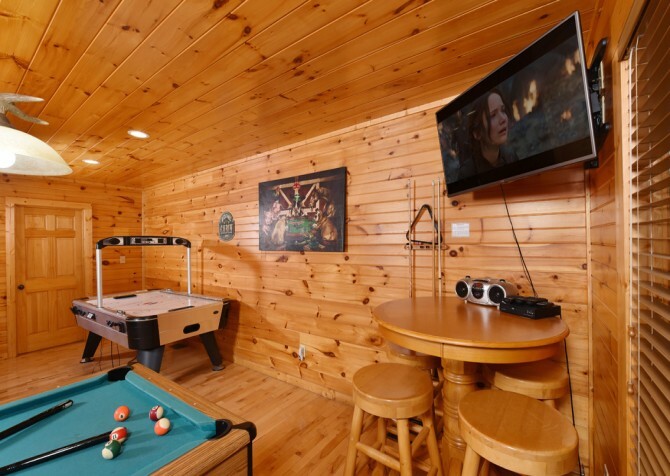 Host movie nights with the DVD player and dance parties with the CD player. And a pub table for 4, great for easy-going card games or chilled drinks with the guys, completes this entertaining cabin space! Tuckered out from the day’s adventures in town and belly laughs with your bestie at the cabin? 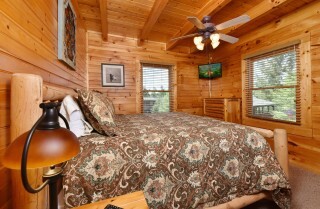 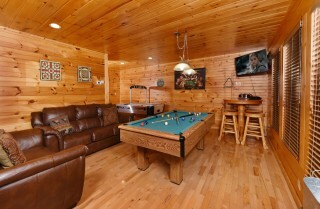 Venture to one of 3 bedrooms — each boasting a flatscreen TV, ceiling fan, and log-style furniture. 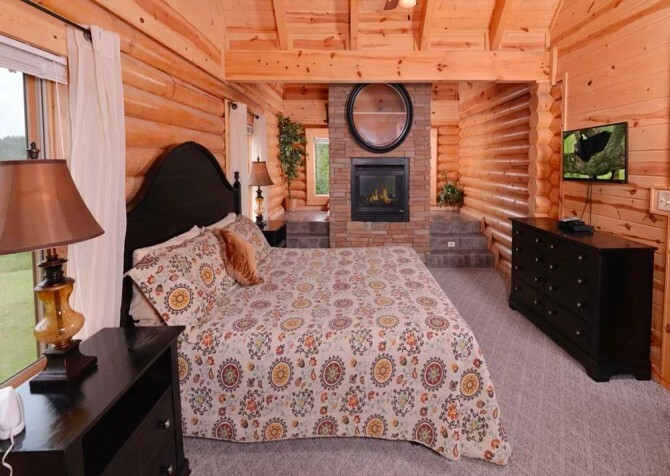 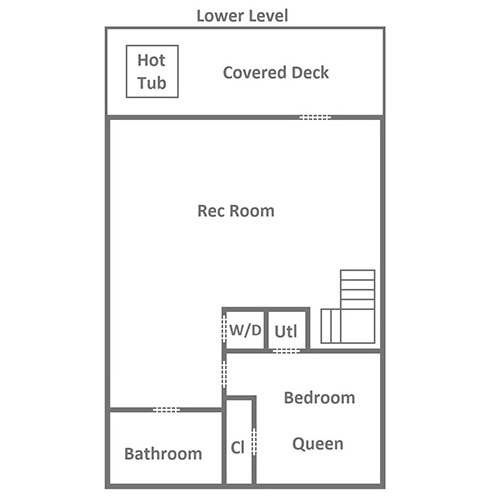 While one bedroom features a king-size bed and another a queen-size bed, the master suite harbors not only a king-size bed but also a gas fireplace, plush arm chair, and an indoor jetted tub. 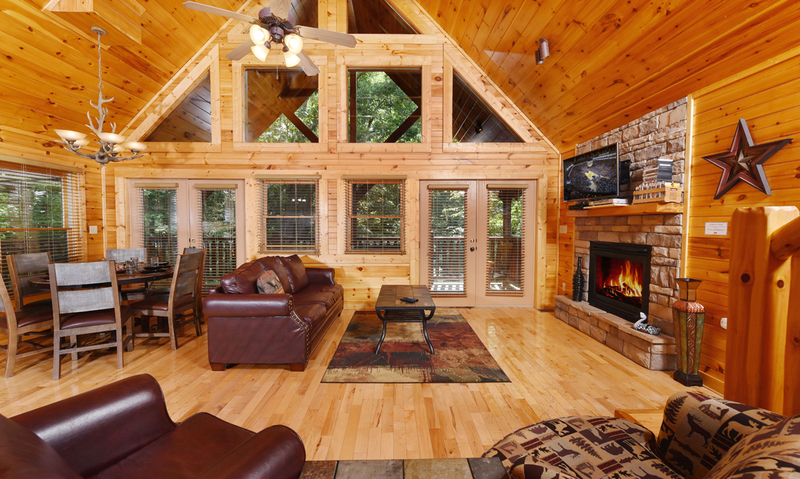 Spend every evening in total relaxation with lavender-scented bubbles and a romantic novel in front of the fire. 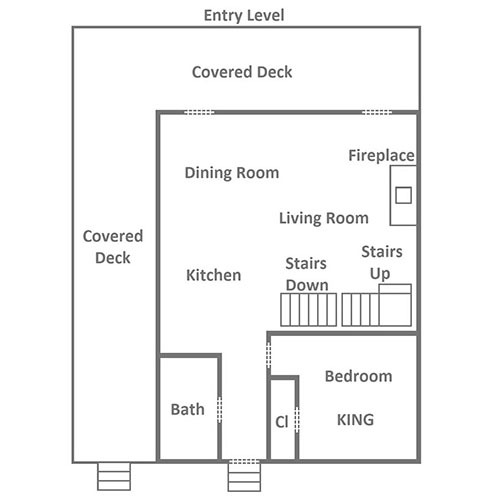 And with 3 full bathrooms in the home, getting ready in the morning or at night will be a breeze! Just when you thought the amenities were over, they’re only just beginning with spacious back decks — perfect for relaxing and enjoying time with loved ones at the cabin. Take nature-rific selfies with serene tree-studded views, fire up the charcoal, picnic-style grill for barbecue parties, and rock all your worries and cares away in the rocking chairs. 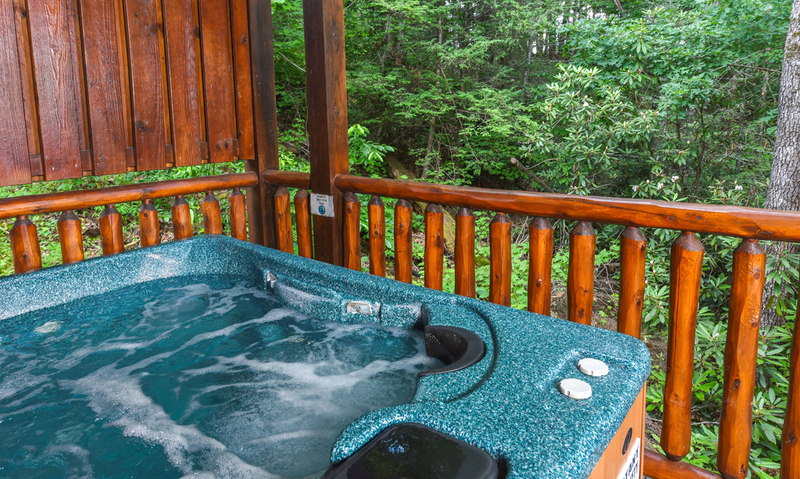 When the sun goes down, slip into your swimsuit for a soothing soak in the bubbly hot tub. 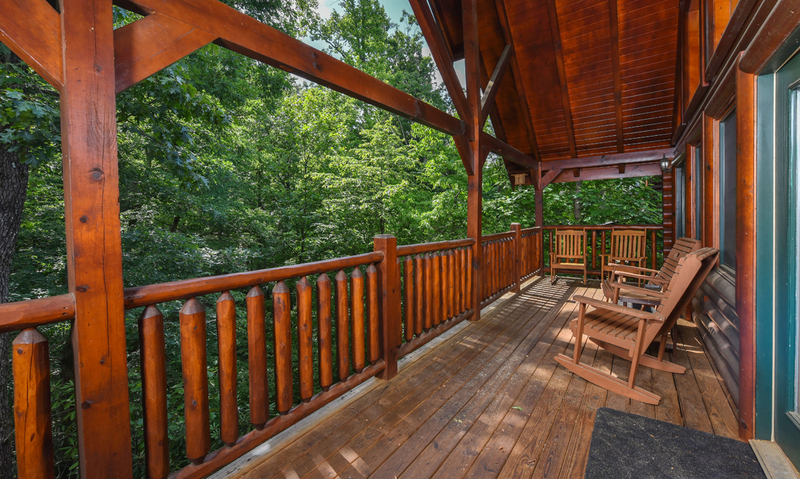 The deck also boasts a dining table for outdoor meals and a porch swing that’s perfect for morning coffee and before-bed moonshine sips. 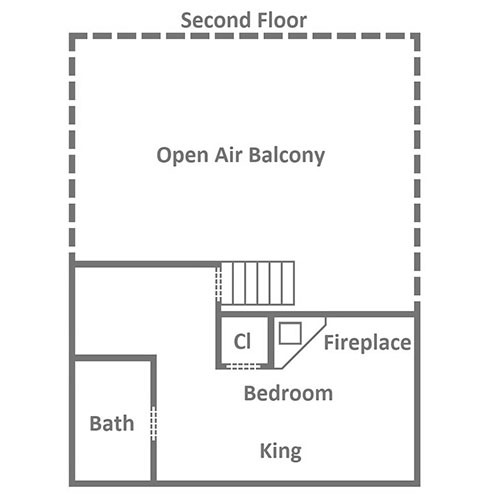 Concerned about the driveway and parking arrangements? Don’t be. The flat, paved driveway leads to paved parking for 2 right by the cabin. And with only 5 steps to the front door and a ramp to the front porch, unloading and packing the cars won’t be a hassle — adding extra convenience to your Smoky Mountain stay. 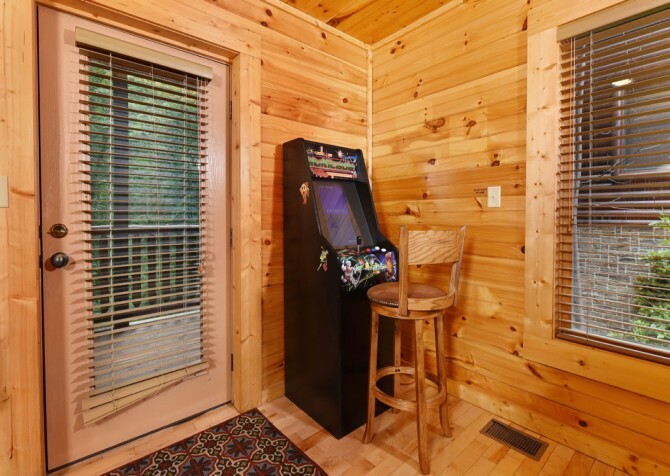 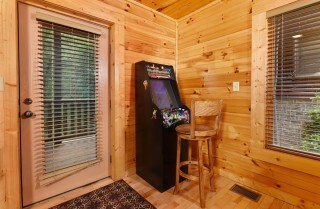 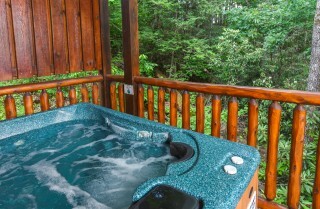 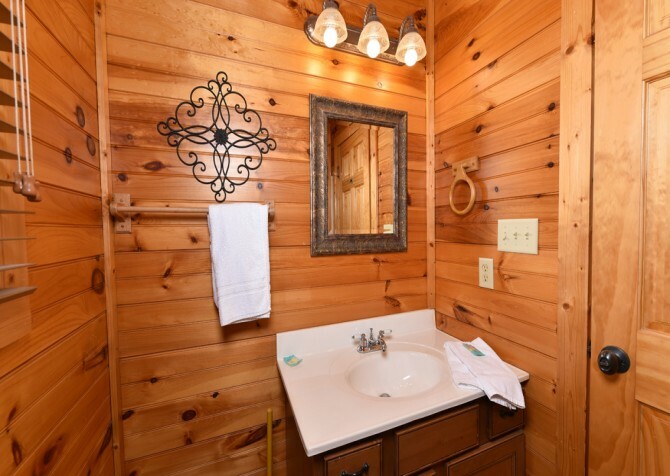 With YOU in mind, Queen’s Log Cabin provides a washer and dryer to keep laundry fresh on your return home and high-speed wireless internet to keep up with local events, emails, and our Cabins for YOU blog! 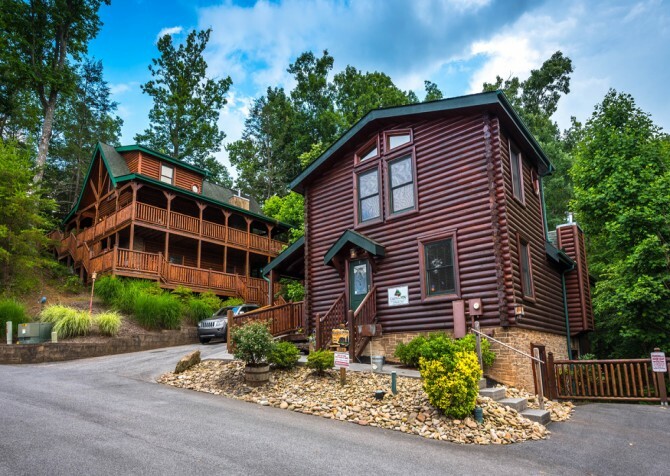 When you’re done relaxing at Queen’s Log Cabin, explore all Gatlinburg has to offer — including the Great Smoky Arts & Crafts Community, Mills Park, the community center and public library, Rocky Top Sports World, and more! 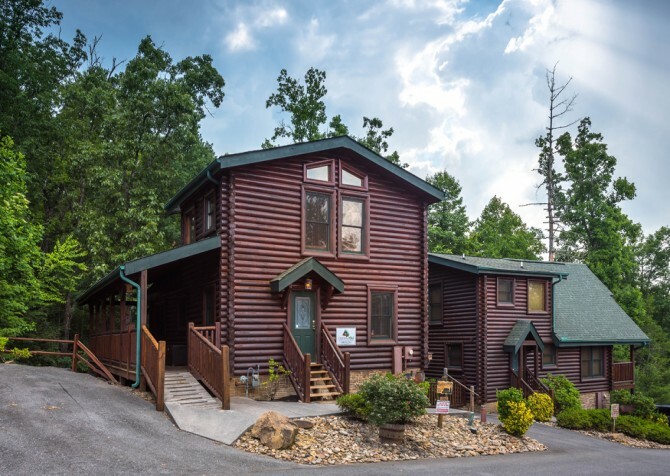 If spices are your game or finding unique home décor is a hobby, the Salt and Pepper Shaker Museum is for you, with over 20,000 sets from around the world! Play with penguins, see your little one’s face light up when Nemo appears, and ride the Glass Bottom Boat Adventure over Shark Lagoon at Ripley’s Aquarium of the Smokies! 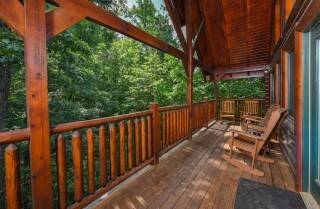 Since 1970, the Gatlinburg Space Needle has been a local landmark in this great town. 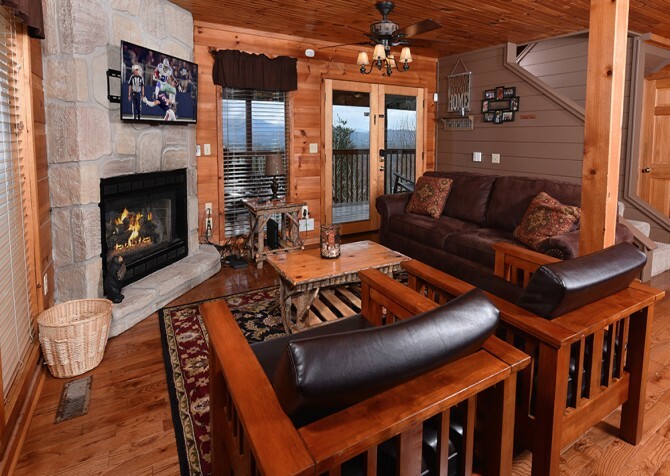 With 360 views of the city and the Smokies, it’s a must-do before you leave.